2010 elections | Here's to Life! A diverse group of bloggers have come together to write articles on election-related issues to foster voter’s education, commentaries, features on the candidates running for national positions, and any other topics that would broaden the voters’ ability to vote wisely in the coming 2010 Philippine elections. Vibal Foundation’s Philippine Online Chronicles (http://thepoc.net) is hosting BlogWatch.ph online. BlogWatch.ph aims to cover underplayed stories in various formats normally used by bloggers such as podcasts, articles, and videos. Another thing that will distinguish itself is its use of social networking media to spread information and connect with its readers. Already, the site has Plurk, Twitter, Ustream, Facebook, YouTube, and Qik accounts set up so that BlogWatch.ph can be made accessible to almost everyone who is online. At the official launch last November 24 at Max’s Restaurant in Bel-Air, Makati City, traditional media and other bloggers were in attendance. Gus Vibal, publisher of Philippine Online Chronicles likewise graced the occasion. BlogWatch.ph will continue to evolve to include more interactive content. We strongly encourage all of you who have a stake in the 2010 elections to actively participate in the Blog Watch polls and tell us what you think via our comment sections. We are also accepting bloggers who may want to guest blog on commentaries. If you are interested, send us an email at blogwatch.ph@gmail.com. We still need bloggers from the provinces in Northern and Southern Luzon, Visayas and Mindanao. I had an earlier post about being part of Blog Watch, hosted by Vibal Foundation’s Philippine Online Chronicles. On November 24, 2009, Blog Watch will be formally launched in the presence of traditional and new media at Max’s Restaurant on Jupiter St., Makati, from 11am to 2pm. The blogger-writers for Blog Watch will attempt to “fill in the gaps” as well as complement traditional media’s coverage of the 2010 elections. We have began some features on voter education and are now beginning to provide backgrounders on the candidates for national positions (both on the personal side as well as the political side, including issues they are supporting). In addition, commentaries stemming from the personal insights of the writers will add flavor to this site. It is our hope that through Blog Watch as well as other blogs and news sites, including those set up by COMELEC, the voting public will be able to make wiser decisions on who to elect into office. I invite you to visit Blog Watch regularly to become as informed as possible before the 2010 Philippine elections. You may also follow Blog Watch on Facebook, Twitter, Plurk and subscribe to its YouTube channel. The bloggers (as of this writing) who form part of Blog Watch are Noemi Dado (A Filipina Mom Blogger), Jane Uymatiao (Here’s to Life! ), Sonnie Santos (Sonnie’s Porch), Dine Racoma (The D Spot), Vincent Golangco (When in Manila), Carlo Ople (New Media Philippines), Marck Rimorin (The Marocharim Experiment), Rochelle Sy Chua, Juned Sunido (Baratillo @ Cubao), Fritz Tenatativa (Fritzified), Leslie Bocobo, Brian Ong (The Philippines and Beyond), Victor Villanueva (Bikoy.Net), Dean Jorge Bacobo (Philippine Commentary), Pierre Tito Galla (Jester-in-Exile), Karen Ang (Bury me in this dress), AnnaManila (Ode2Old), Wyatt Belmonte (Wyatt’s Kitchen), and Blogie Robillo (Blogie Blog). The 2010 elections will be the most interesting election as far as my voting career goes. This one sees the most number of voters actually interested in participating and exercise their right of suffrage. In our home alone, our yayas and driver actually voluntarily registered without my knowledge when my kids went to register. And 3 of my 4 kids are first-time registered voters. The list of possible presidentiables has been one surprise after another — the Noynoy factor arose only after Tita Cory’s death; Mar Roxas, a strong presidential contender slides down to be Noynoy’s VP running mate; Erap declares he will run again; Chiz Escudero pulls the rug from under everyone’s feet by suddenly announcing he is leaving NPC (and is now keeping everyone guessing if he will run for President or not). This is the first time that elections will be conducted using an automated process. As of this time, major online news sites have created sections just for posts on the upcoming elections and many bloggers have either written about election-related issues on their own blogs or have come together to put up blogs dedicated solely to 2010. A group of us are writing for the Philippine Online Chronicles’ election section, called Blog Watch. Blog Watch will contain features, commentaries, news, voters’ education and election awareness campaigns, videos, informal polls and similar informative items. 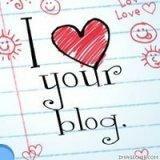 Do visit Blog Watch regularly and be thoroughly informed before 2010. Not only is it our right to vote. It is also our right to see to it that our votes are properly counted. And in order to vote properly, we must know all the issues as well as the backgrounds and platforms of all those running for office. You may also follow Blog Watch on Facebook, Twitter, Plurk and subscribe to its YouTube channel.